So I hope everyone has recovered from the royal wedding! It was beautiful yadda yadda yadda. Honestly I am sick to death of hearing about it, so if you were expecting a run down on what I liked I'm sorry but i just cant stomach that right now. I am weddinged out. So I am doing sort of a random blog about my top five things I loved during the month of April. I have seen some other bloggers do this so I'm following suit. gotta be in with the crowd. - I adore this product. It is probably my favorite product that I use. Unfortunately Mary Kay has discontinued this product and I haven't found a good enough dupe. There a billion different types of highlighters though so I'm sure when I run out of this product I will find a new one. A highlighter, especially a cream highlighter, can be used for a lot of different effects. 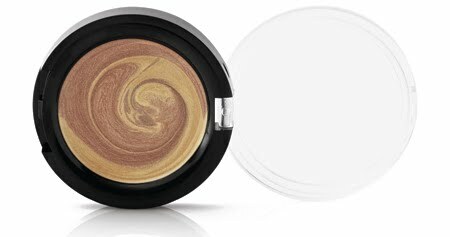 I use mine for contouring my cheekbones and nose and pulling light to the top of my brow. Below are the areas i apply my highlighter. I know it looks a little crazy but I didn't want to blend everything in cause then you couldn't see it. 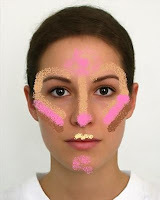 The brown is bronzer, pink is blush, and the lighter color is the highlighter. 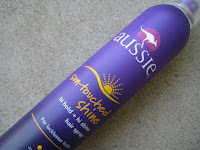 - I really like Aussie products in general because I think they are super affordable but still work really well. I like this hair spray because it really does make your hair really shiny. I use it as a finishing hair spray because it isn't wet and it wont mess up your due. 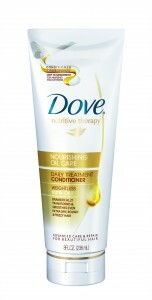 - I am totally in awe of this conditioner. It makes my hair incredibly soft and silky. I do use it everyday and it doesn't weigh my hair down like some other heavy conditioners. I also blow out my hair everyday and I have pretty frizzy coarse hair to begin with. I imagine that if you have fine hair this conditioner might be too much for you and make your hair a tad greasy. But if you have some damage like me, this is the way to go! - As I mentioned in one of my previous blogs I had some issues with my lips a little while ago and the skin peeled off so now I am super careful with what I put on my lips. I like lip smackers because they don't claim to heal or soften or any of that kind of thing, its just a lubricant that smells good. Because of that it doesn't irritate my newly grown lip skin (lol) and I wear it as often as I like! - I already have and love Jessica Simpson Fancy and I have been wanting Fancy Love for like...ever. I love this scent sooooo much. It might be my favorite. Its a really good scent for summer and spring. Reader beware, this is a very very sweet scent. It is floral and all things sweet. There is no musk, no spice, no dusky undertone. It is just sweet. I love it and i would recommend it to everyone but I know that some people don't like things that smell so sweet BUT I DO!!!! Ok well those are some things that I was loving this past month. I hope everyone has a good week!